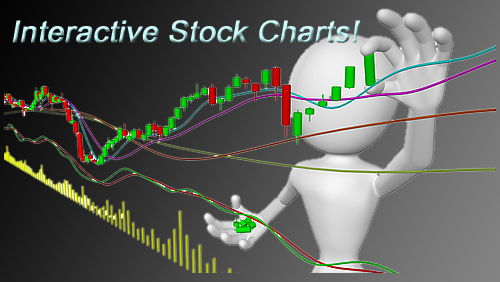 The one and only chart pattern screener! 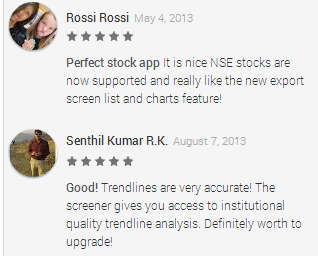 Based on a proprietary algorithm for detecting trendlines and classical chart patterns, Screenulator also provides the state of art customizable screening of over 10000 stocks, as well as real time candlestick charts with trendlines overlay, and other Technical Analysis indicators. March 27th, 2019: A quick note that we take your data privacy very seriously. We do not track your usage, or stocks in portfolio. No portfolio information is stored in our server, only in your personal device. March 25th, 2019: $ADNT shows high TR Reliability, and it's Buy Reversal Complete count reached 16 today. Time to buy! 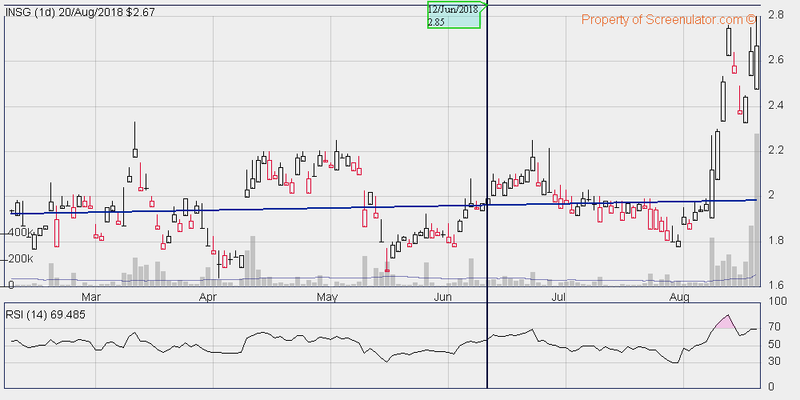 February 12th, 2019: $SIX shows high TR Reliability on Sell side, and it's Sell Reversal Complete count reached 10 today. Time to take profit, or buy put option. January 23rd, 2019: $SPY breaks out key support line at 260. The market is poised to go higher as fear and greed index still favors bulls. January 17th, 2019: Sold $NFLX Call spread 360 - 390 ahead of earning report. Expect Options premiums to collapse tomorrow and $NFLX seem to have run out of steam. January 10th, 2019: Take profit in $CELG after BMY take over news. 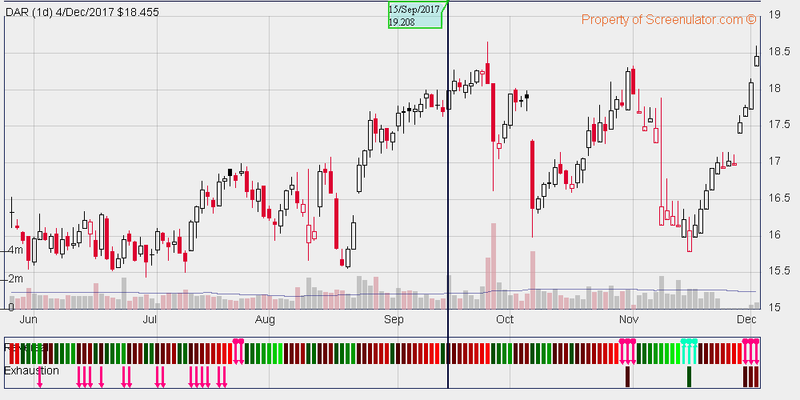 January 2nd, 2019: $SNP shows high TR Reliability and safe dividend stock, TR Reversal Buy Complete detected! January 1st, 2019: Happy New Year! Let 2019 be another profitable year!! 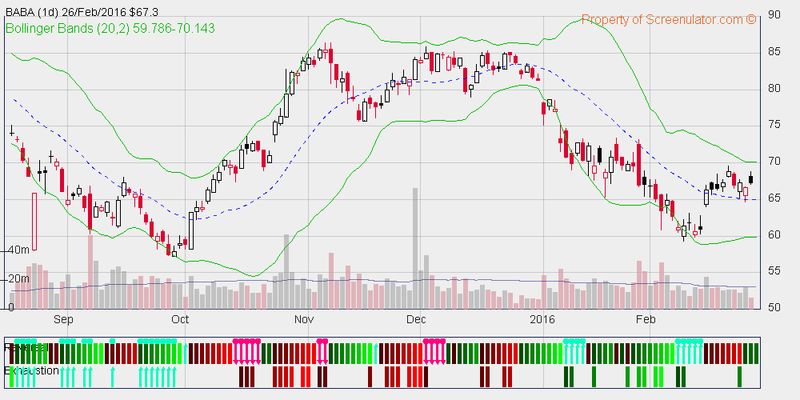 December 26th, 2018: $GS shows high TR Reliability and good fundamentals, TR Reversal Buy Complete detected! December 26th, 2018: $IWM rebounds as TR/TD Buy complete count reaches 14. This could be a signal for a temporary market bottom. However,unless macro situation improves, lower lows are expected in 2019. December 13th, 2018: $SPY breakdown key support line at 260. Time to take partial profit as temporary rebound could be running out of steam. December 3rd, 2018: $SPY reaches TR/TD Sell reversal complete signal again. Time to take partial profit as temporary rebound could be running out of steam. November 9th, 2018: $SPY reaches TR/TD Sell reversal complete signal. Time to take partial profit as temporary rebound running out of steam. October 12th, 2018:I have backtested and screened the top performing stocks in EOD timeframe (Daily Chart) for US, Canada, NSE, KLSE, JKSE, and other Global indices. It is now published with TR Intraday and EOD picks! September 6th, 2018: $QSR shows high TR Reliability and TR Reversal Buy Complete chart detected! August 20th, 2018: Android app updated! ISC desktop app v2.79 to add Crypto Currency Support, Bitcoin, Ethereum etc. August 18th, 2018: Desktop ISC software update! ISC desktop app v2.01 to add Crypto Currency Support, Bitcoin, Ethereum etc. August 16th, 2018: Desktop ISC software update! ISC desktop app v2.0 to add international stock quote and EOD support with AlphaVantage data source. August 3rd, 2018: $PDEX shows high TR Reliability and TR Reversal Buy Complete chart detected! July 29th, 2018: Desktop ISC software update! ISC desktop app v1.994 to fix Google Finance API deprecation. All US stocks still work. July 20th, 2018: Take profit on $SHAK as TR Reversal Sell Complete signal detected! July 11th, 2018: $SHAK shows high TR Reliability and TR Reversal Buy Complete chart detected! July 3rd, 2018: $CINF shows high TR Reliability and TR Reversal Buy Complete chart detected! 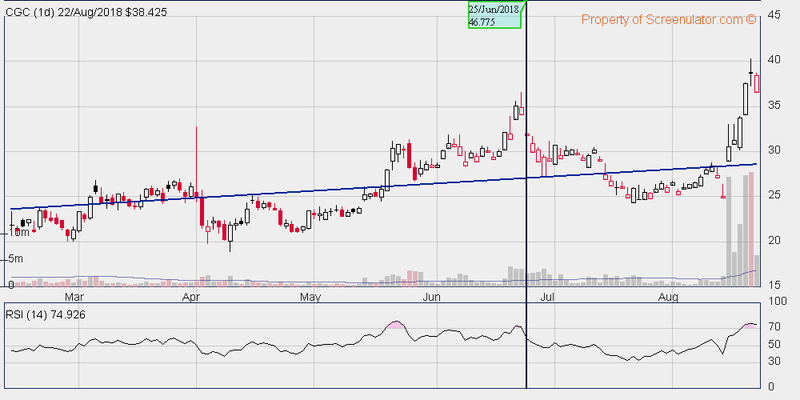 May 29th, 2018: $RACE shows high TR Reliability and TR Reversal Buy Complete chart detected! May 3rd, 2018: $ABAX shows high TR Reliability and TR Reversal Buy Complete chart detected! April 3rd, 2018: $MBFI shows high TR Reliability and TR Reversal Buy Complete detected! April 3rd, 2018: $PRAH shows high TR Reliability and TR Reversal Buy Complete detected! March 13th, 2018: $ISNS Flatchannel breakout detected! 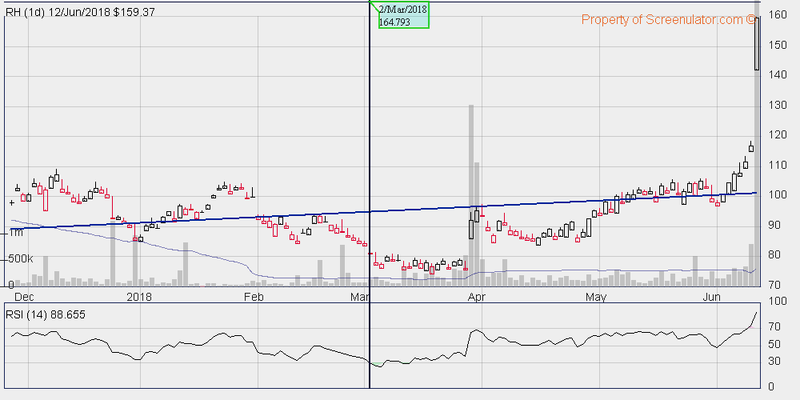 February 12th, 2018: $SNP shows TR Reversal Buy Complete signal, and sports 6% dividends. 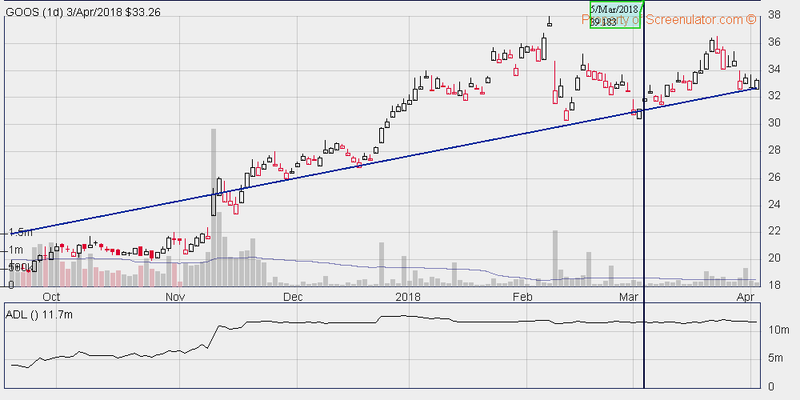 Can't go wrong with Chinese oil stock! February 12th, 2018: $QUAD TR Reversal Buy Complete detected! February 9th, 2018: $AAWW TR Reversal Buy Complete detected! February 6th, 2018: $SRI TR Reversal Buy Complete detected! January 15th, 2018: Desktop ISC software update! ISC desktop app v1.99 updated to support Shenzhen, and Shanghai stocks. January 8th, 2017: $CHFC TR Reversal Buy Complete detected! December 29th, 2017: $ALGN TR Reversal Buy Complete detected! December 4th, 2017: $DAR TR Reversal Sell Complete detected! Sell to close position! 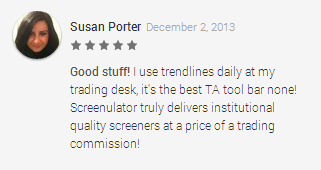 Industry leading interactive mobile and desktop charting tool, complete with 15+ technical indicators and screeners! Gain access to up to date screening results! Free consultation with Joe to turn your ideas into your own unique stock screeners to maximize profit!